Just store colour (vec3). 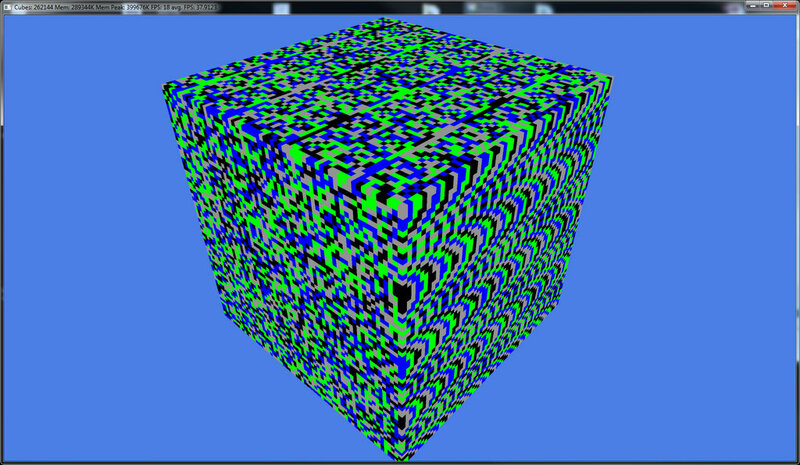 Render with instancing. Reconstruct position in your vertex shader by instance id. 6 million floats. Math FTW! In this case, store colours in lookup table, get away with 8bit colour index. 2 million bytes. Old skool FTW! Previous PostPrevious Step back.. re-think.